I'm quite a fan of Lisa's other YA series, the River of Time. (There will be a post on that series coming up soon!) While I was suffering withdrawal from the River books, I discovered the Remnants series. I finished the second Remnants novel this evening, so I am once again facing the crisis of a book hangover. To help me cope, I'm sharing my thoughts on the series. Besides letting me process my feelings, I'm hoping this post will draw you into the world of Remnants as well. After all, I need someone to discuss these stories with! The Remnants are a small, sacred group with a massive destiny. They must save the world, rescuing what remains of humanity from the clutches of darkness and restoring faith in the Maker. Each Remnant has been uniquely gifted by the Maker, and provided with the protection of a knight, for such a time. Andriana is one of the chosen, and she has grown up training for her future alongside her knight, Ronan. But when the time comes for Andriana, Ronan, and the other Remnants to answer the Maker's call... Nothing could have fully prepared them for the dangers ahead. Can they overcome the darkness and bring light back to the people of their lands? Or will the Remnants be extinguished before they can kindle a blaze? There is far more to the story, of course, but I promised to avoid spoilers. Rather than sharing specific details, let's discuss a few elements of the book. The modern world is gone, and the divides between rich and poor are gaping. Scarcity abounds, yet a select handful of individuals have access to the inventions of a world long past. I think Lisa did a great job with the setting of Remnants. I appreciated that it was rawer and more simplistic than the high-tech, automated places where dystopians are usually set. It felt realistic, and I especially liked how the various areas contrast each other. On the Remnants' quest, we journey through deserts, a magnificent forest, and cities both corrupt and beautiful. While I wouldn't want to live in this world, it was quite a visit. Much of the story is a quest. Perhaps it's just me, but I sometimes have trouble tracking events during journeys. Overall, though, I didn't have any problems with the plot of Remnants. It's been tying together nicely, and I'm looking forward to seeing it come full circle in the final installment. As with any series, there are some lulls. However, in both Season of Wonder and Season of Fire, I felt there was more action than relaxing. Lisa writes some killer battle scenes, and in several, you can feel the characters' adrenaline pulsing through the pages. There are chase scenes, kidnappings, raids, escapes... Sometimes all within a few chapters! Remnants made me want to begin training immediately, should I ever need to fight off the armies of an unjust empire. Join the Remnants cause! I genuinely enjoyed these stories, and I was pleasantly surprised to find them inspiring me in my everyday life. Not to take down tyrannical governments (okay, maybe, but that's not the point.) These books present a solid allegory for spiritual matters, but it isn't done in a way that's stifling or unnatural. The supernatural aspect of the story weaves in seamlessly. 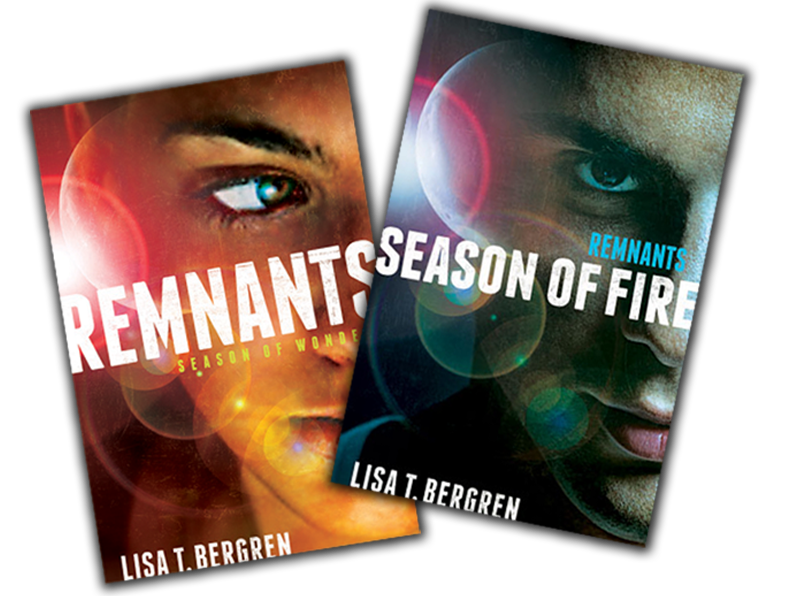 Unlike some novels by Christian authors, Remnants doesn't feel preachy. It's simply encouraging, without taking anything from the excitement levels. It was also one of those books that prompted me to step into the characters' shoes, to learn as I walked alongside them. So read the first two novels, Season of Wonder and Season of Fire, then join me in suffering waiting for the final installment, Season of Glory. It's going to be an unforgettable journey! As the Remnants would say, Welcome to the call, sister! :DDD WE MUST TALK ABOUT RIVER OF TIME SOON. BECAUSE OF REASONS.